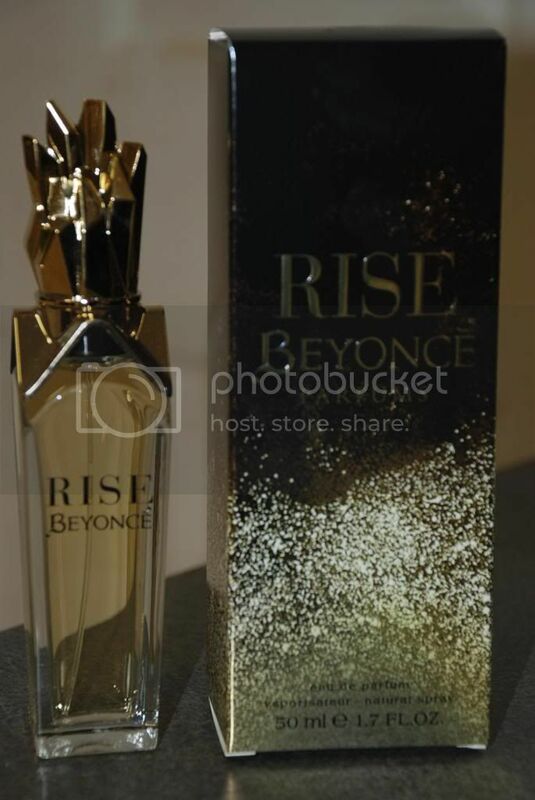 Andrea's World Reviews: Mother's Day - RISE Beyonce Review + Special GIVEAWAY!! Mother's Day - RISE Beyonce Review + Special GIVEAWAY!! If you are looking for a sizzlin' hot Mother's Day gift, you have come to the right place. Now this may not be the ideal gift for your grandmother, and who knows, maybe it would be, but this is for all the younger mommies you need to shop for. If you are looking for a great gift for your wife, sister, best friend, etc, then RISE Beyonce is perfect. This is a powerful scent, it is not overpowering by any means, but it is bold, and intense. It has great depth and is very indulgent. When I wear it I feel confidant and passionate. It is perfectly suited for it's name. Wearing this fragrance makes you feel like you can RISE above anything. It just makes you feel beautiful. How could you know feel pretty when the bottle is so stunning? Gold(to me) is a symbol of excellence and luxury, and that is exactly what this fragrance represents to me. I feel like a million bucks wearing it. Other people have definitely noticed. I have been given numerous compliments on smelling "great" "wonderful", "beautiful" and so on and asked by 3 different people what I was wearing and where they could get it. It just makes you feel so good when someone compliments you. Not that you should worry about what others think, or try to fit into their ideals, but when others support something you are already doing, it is always nice. I really love fragrance as gift because it is something you can use every single day. It doesn't die like flowers or perish(and add unwanted pounds) like food, it doesn't hang in the closet a lot like a sweater or sit on a shelf like a figurine. Fragrance is something that can cause memory real too, so when the recipient wears it, they can literally remember you giving it to them, and attach that and other memories they will make while wearing it, with that scent forever. All in addition to the instant confidence and spirit boost one receives when they smell amazing. You can pick up RISE most anywhere that fragrance is sold. Makes Mother's Day extra special with this incredible fragrance. Normally, you would also have the chance to win this amazing fragrance as well, but it is so popular that there is no supply for giveaways right now. Don't worry though, there will still be a giveaway, and the lucky winner will get to choose from SOUL2SOUL(by Faith Hill) and Exotic Jasmine(by Halle Berry), both of which I have personally tried and are just as incredible as RISE. Enter below for your chance to win one of these wonderful fragrances. Good luck! I'd buy it for my mom. The bottle appeals to me. I never buy a full size perfume product for myself without trying it first because if I can smell it on myself it gives me a head ache. 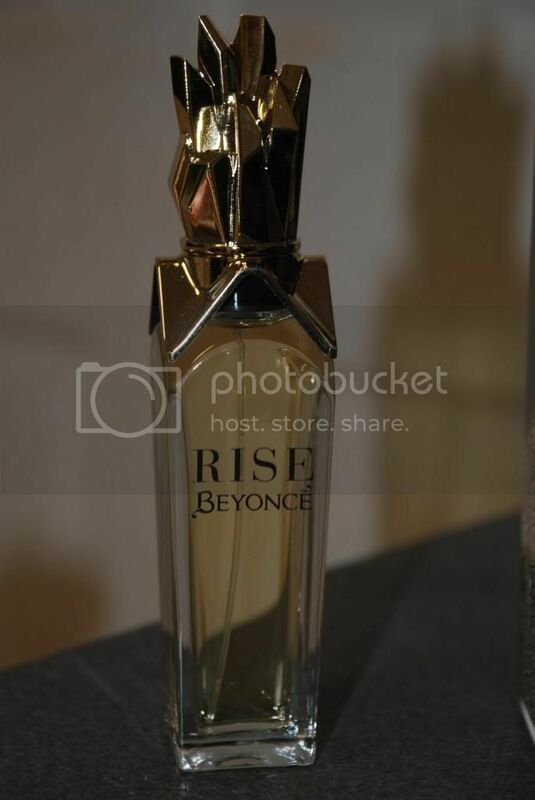 The Rise bottle is so pretty and I do buy perfumes for gifts. In fact my mother is looking for a new scent since the one she wears is no longer available.